Spurred by the memory of its Final Four loss at the 2017 B.C. 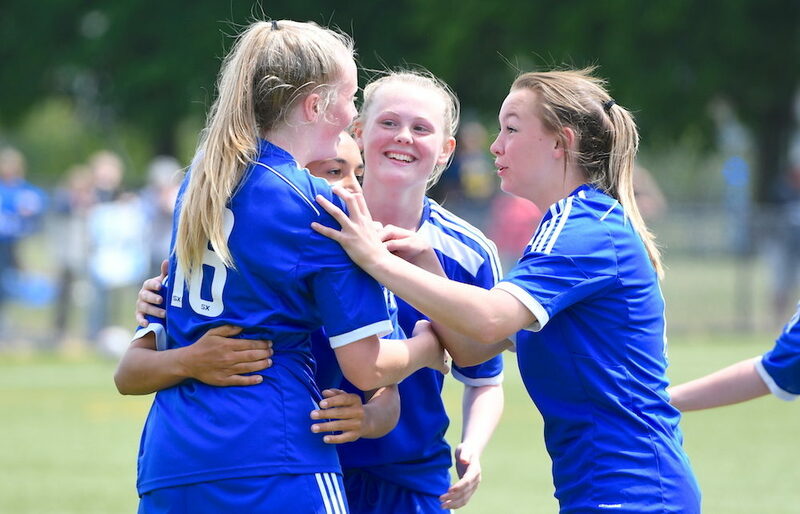 senior girls AAA soccer championships, the Coquitlam school looked at every experience along the trail as a way to help them better battle the adversity they knew they would face in their attempt to go the distance this season. And when they ended Thursday by punching tickets to Friday’s B.C. title game for the first time in since the turn of the century, via a 2-0 win over Victoria’s Reynolds Roadrunners at UBC, the enormity of their accomplishment mirrored the added level of added focus they had adopted. Centennial will face Surrey’s Fleetwood Park Dragons in Friday’s 11:45 a.m. final at UBC’s Thunderbird Stadium, after last season’s silver medalists went to penalty kicks to decide a match that was tied 0-0 after 85 combined minutes of regulation and overtime. The victory came a day shy of last season’s semifinal loss to eventual overtime loss to B.C. champion Panorama Ridge, and on the heels of a most dramatic morning. 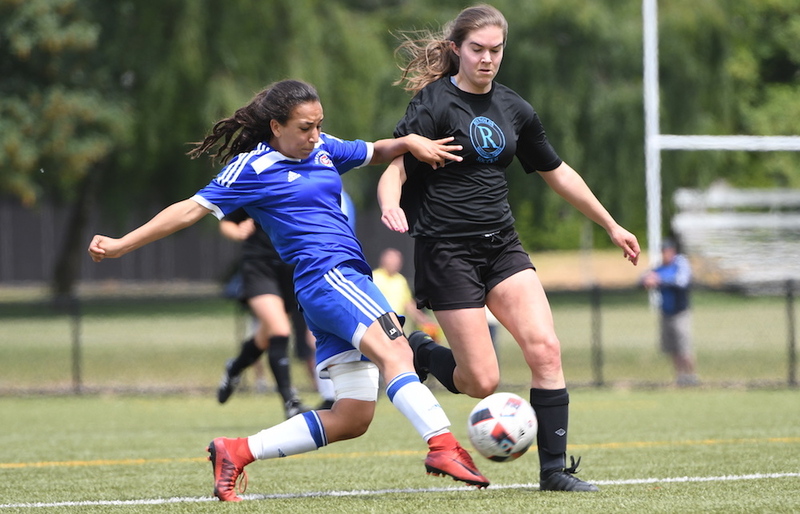 Centennial and Richmond’s R.A. McMath Wildcats were locked in a tie for first place to end pool play, and thus were forced to determine a semifinalist via a one-off session of penalty kicks on the UBC grounds. Simon Fraser-bound senior Danae Robillard fired the deciding goal that put Centennial into the Final Four, and she and her teammates continued that fine play in their win over Reynolds. Moro applauded the play of the team’s senior core of leaders, including the likes of Robillard, Rylee Mackenzie and Janelle Momotani. As well, it was hard for Moro not to bubble with enthusiasm about Reagan Mackenzie’s outing, especially with two more years of high school soccer remaining after this season. The younger Mackenzie’s aggressive first-half take to the goal resulted in a hard take-down and led to her scoring the game’s opening goal off a penalty kick. Centennial has not played in the B.C. senior girls top-tiered final since it lost to West Vancouver in the 2001 final. The Centaurs last B.C. crown came one season prior, in 2000, when they defeated North Vancouver’s Argyle Pipers 2-1 in the championship final. That victory snapped a string of three straight B.C. titles by Argyle.